Welcome to JND Timber & Steel. We have over 15 years of professional industry experience in manufacturing security gates and are here to support you in choosing the optimal security fencing solution to meet your needs. We specialise in a variety of commercial and residential fencing styles, including aluminium slats, tubular steel fencing, louvre fencing, steel fences and more. 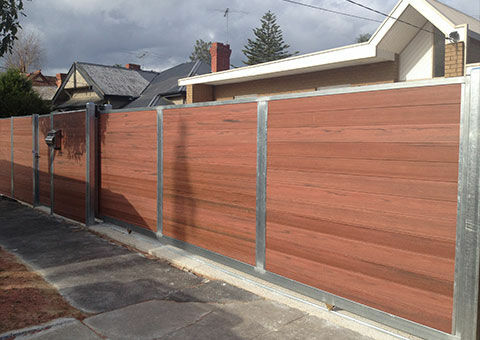 We can also provide fencing panels for those wanting to install themselves. 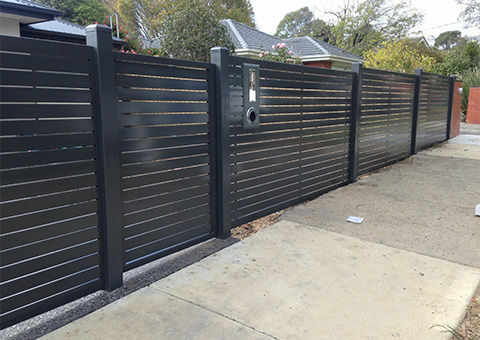 Whether you are looking to enhance security, improve privacy or increase the aesthetic appeal of your property, we have fencing panels and security gate designs to suit your specific requirements. If we don’t, we will customise a security fencing solution to suit your needs. We strive to offer the best support and assistance to you with our team of dedicated, passionate and experienced staff. 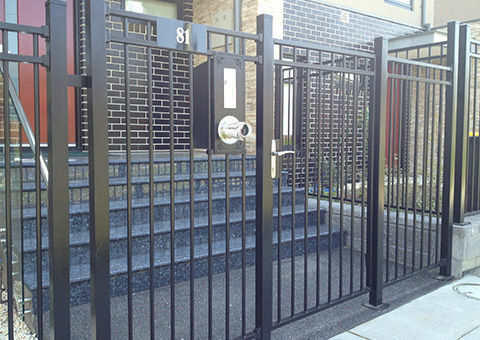 If you are looking for a high-quality manufacturer and installer of security gates and steel fences in Melbourne, we are the team that you can rely on. Our selection of steel gates and steel fences will provide you with a dependable security system that you can count on. We stock a range of systems that utilise both electric and solar-powered motors – be sure to ask! We are proud to have worked with the team on Chanel nine’s ‘The Block’. Based in Mordialloc, we are an Australian owned and operated company that is committed to supporting other local businesses. We source our timber and steel from local, reputable suppliers – ensuring all materials are of the highest quality. In addition to steel fences and gates, we also manufacture a wide range of quality outdoor furniture. Suited to hospitality businesses and private courtyards alike, our tables and chairs are made from powder coated metal frames and quality timber. 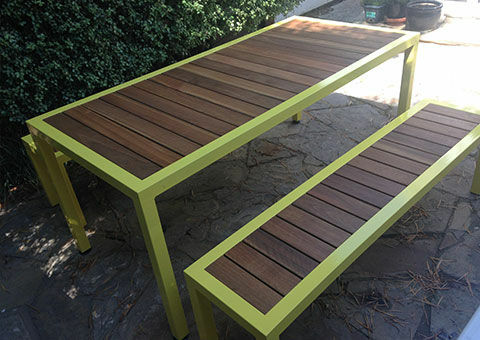 Made and manufactured in Melbourne, we guarantee all of our products and workmanship 100%. JND timber and steel. I got a really good price. arrived they came to installin a timely fashion. emails,really nice people to deal with. We are very happy with our outdoor setting. Such good quality,strong and solid. they were competitivley priced too.